When it came to quality wood blocks to adorn our entertaining table, we looked to John Boos & Co. The company has a deep pedigree of being a world-class manufacturer and producer of wood goods—from butcher blocks to work tables—if you're looking to outfit your kitchen, there are plentiful options and styles to love. 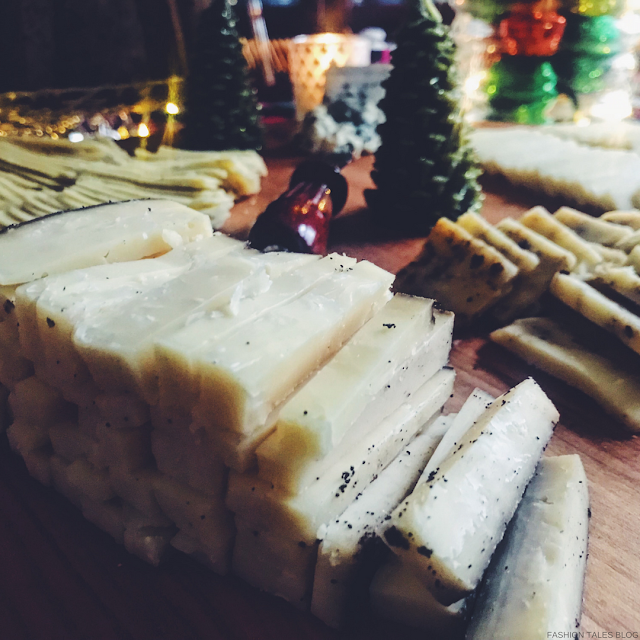 After the holidays, we are ready to move on to the next seasonal occasion without savouring the fact that we're upon a new year, and that itself calls for something special … even more than just denoting it in a mere countdown before the stroke of midnight. This spotlight feature is focussed on post-holiday merriment; the newness and gaiety of cherished moments. 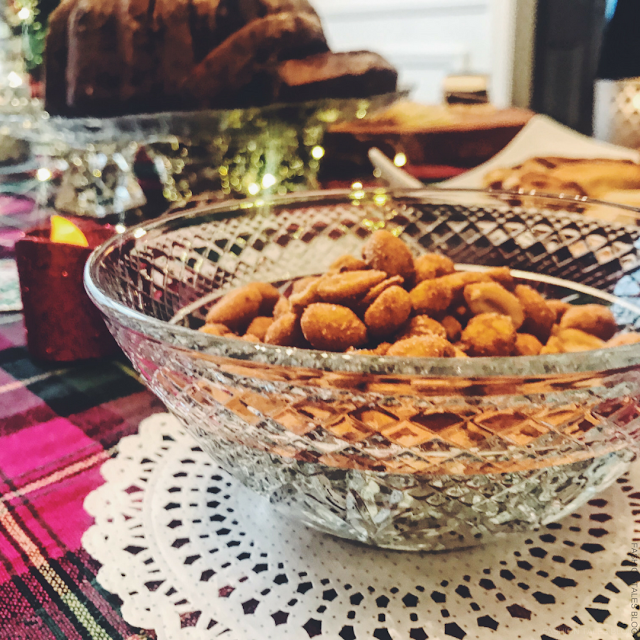 Let's remember that gatherings with loved ones aren't only for annual meets. 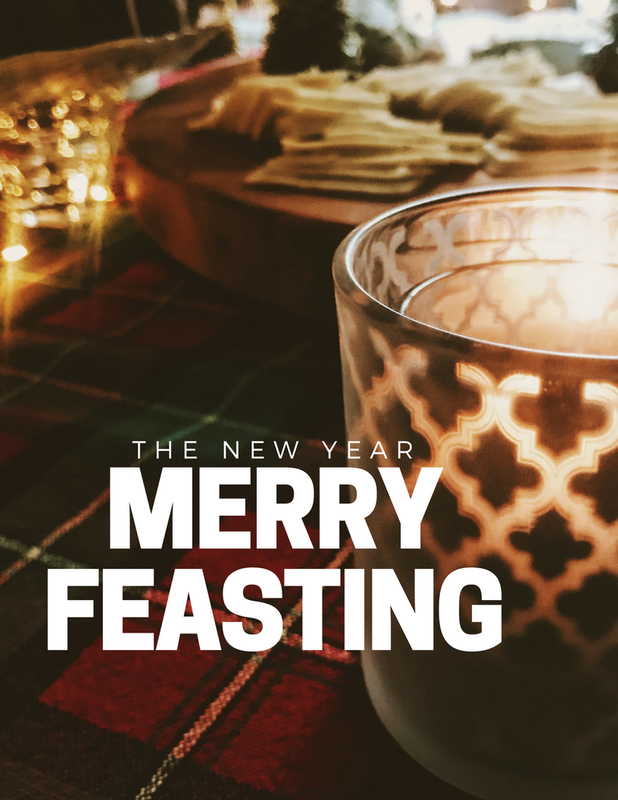 Hopefully, this year you will make more time to break bread together with your family and friends that you hold dear. Enjoy a meze style meal of your own, or perhaps be inspired by ours here. 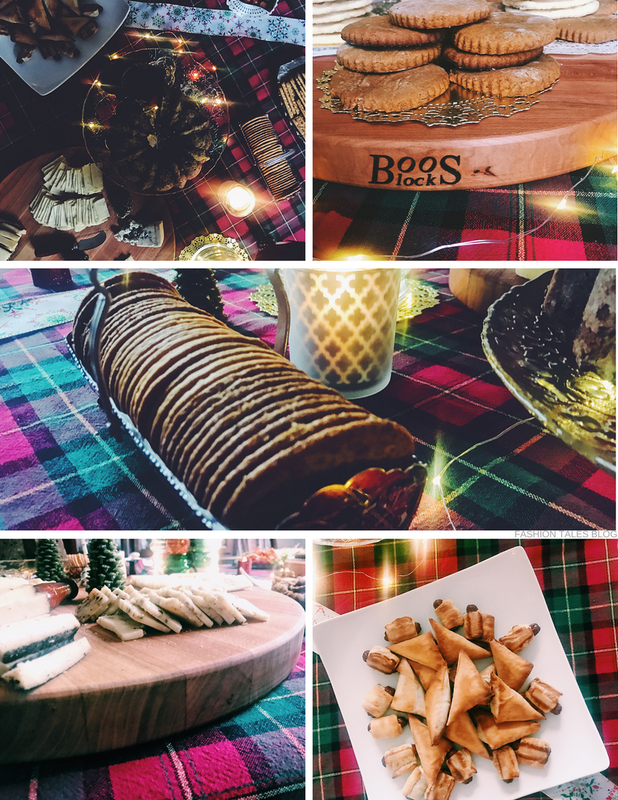 Friends and loved ones travelled our way and gathered together for a slightly different annual party this season. For the Hogmanay feast and celebratory evening, we blended a few non-traditional dishes for our main course, but for the horsd’œuvres it was a smörgåsbord of favourites. 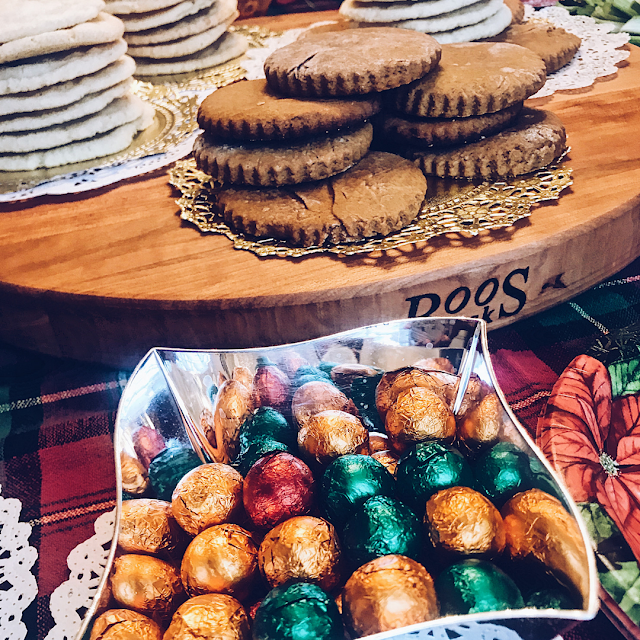 Light nibbles also included a catalogue of cheeses, spinach-feta pasties, puddings, fruit cakes, along with veggie and seafood options. 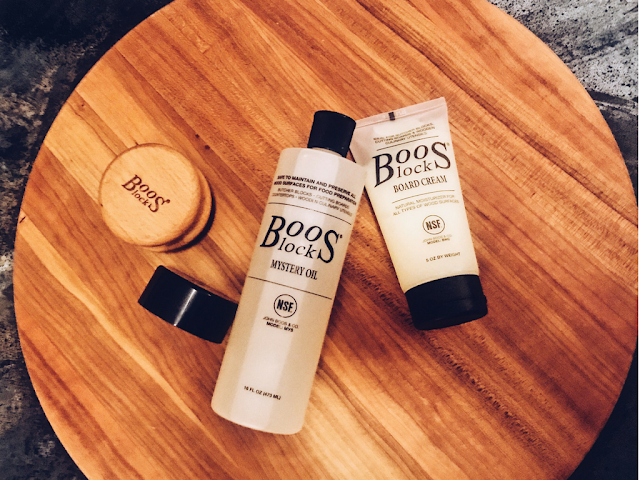 John Boos prides themselves for making the best die-blocks in the world. Well-known for the Boos Block ® wooden cutting boards along with providing speciality goods such as gourmet kitchen and foodservice equipment, John Boos seems to get it right when it comes to quality, durability and function. 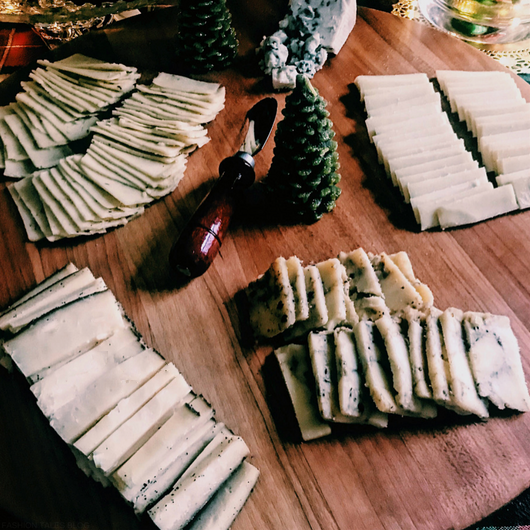 I used these cherry round reversible cutting boards with our tablescape, which gave it an elevated yet rustic edge. The boards are wonderfully thick and sturdy enough to hold your most prized dishes and miniature delights. Use them as cutting boards, serving trays, or tabletop work blocks in your kitchen. 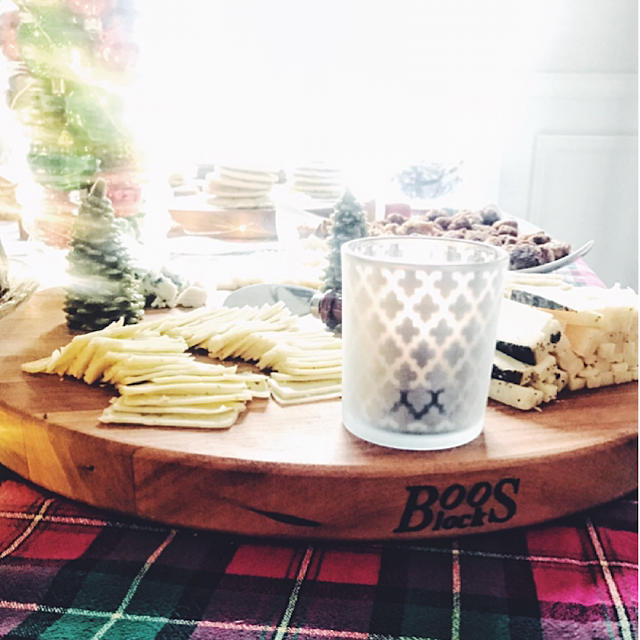 To keep these boards pristine each month, simply oil and wax your boards with the Mystery Oil, and Board Cream made of beeswax, using the applicator to restore the moisture. What do you think of our new year tablescape celebration? The goods: Cherry R-Board Round-Special thanks to John Boos & Co. Collaborative feature: All opinions expressed are my own. 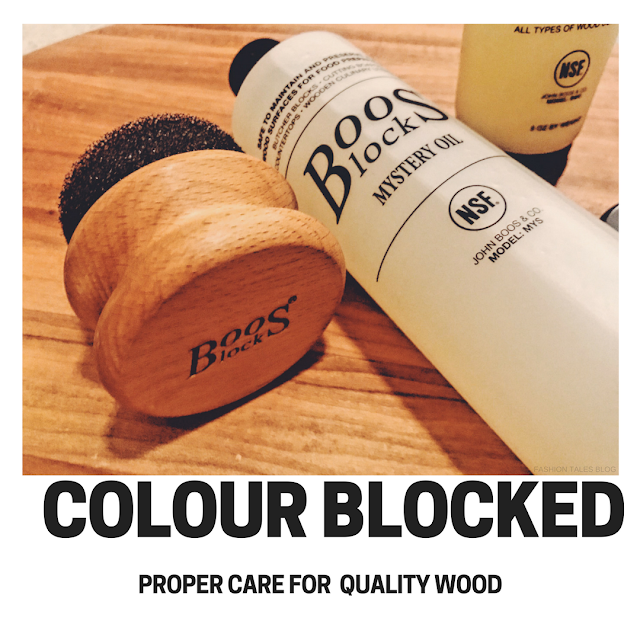 Shop John Boos wood blocks here.